A couple of random links at the end of a very long day of far too many whining, irresponsible students (OH MY GOSH - WHY would you email your professor 2 weeks before the exam asking for a make-up due to a tennis match, then not reply to the professor's email until 30 minutes before the time she told you you could make it up to say that you couldn't make it up then?!?). Days like this make me question my life choices. I bet Mom and my newly-retired Daddy can almost taste the Tennessee-UConn match they'd love to see in Tampa next week. I am so tempted to go see this show on Thursday. I already wanted to read this book. After reading this review, I want to read it even more. How is there not a newer Bradt Guide to Peru than the 2002 edition? Bradt Guides are the only country guides I like, because they are comprehensive and are written by outsiders who have lived and worked in the countries. These are the people who are giving us a guide to the Congos! Why can't they update a place as simple as Peru?!? D'oh! Hillary Clinton apparently failed to pay health insurance premiums for her campaign staff for a month or two there. This is the one I haven't known what to do with. 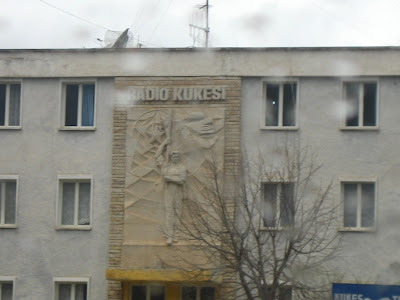 You see sites like this all over Kosova. 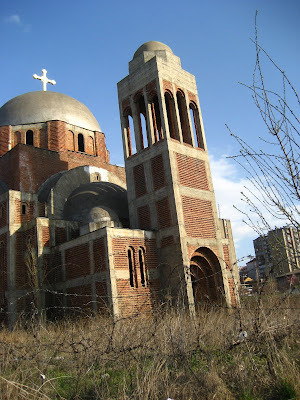 Abandoned Serbian Orthodox churches surrounced by barbed wire that was put there by the KFOR peacekeepers to prevent further looting and defacing. It's one of the first things Steve showed me on the road into the city from the airport - a little white church, completely cut off from the community. 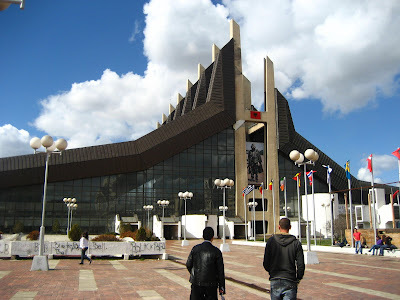 The church pictured above was constructed by the Serbs in the late 1990's, smack in the middle of downtown Pristina, by the University of Pristina. 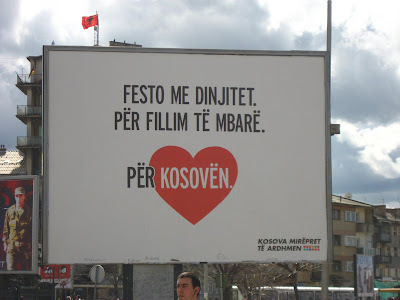 The majority of Albanian Kosovars being Muslim, this was about like constructing a giant middle finger in a city park - it was among the most insulting and inflammatory things the Serbs could have done. 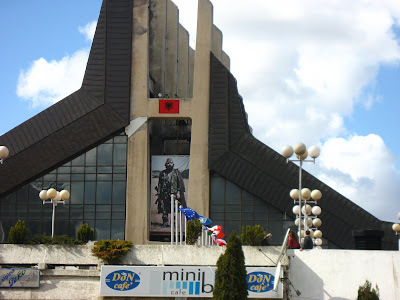 The church was never finished, because NATO began bombing the Serbs in 1999. 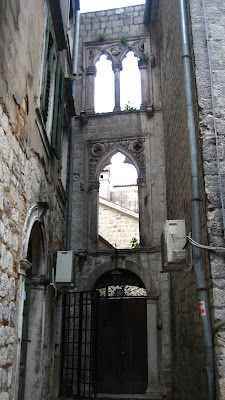 But other churches in now-abandoned Serb villages were. They were where people were baptized and married, where they took communion and were sent to their final rest. They were churches. The history of the Serbian Orthodox Church is complicated, and it is inextricably tied to the Serb nationalism that Kosovars hate so much. 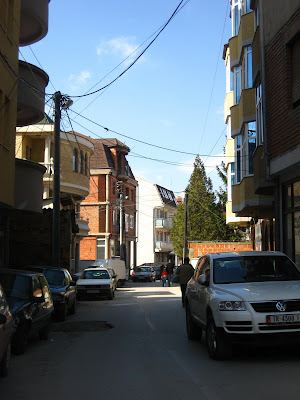 The former seat of the church - the patriarchy - was in Kosova, in Peja, which in Serbian is spelled Pec. 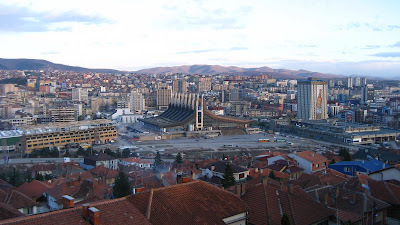 The Communist Yugoslav government suppressed the church, and after Communism collapsed, the church was accused of supporting Slobodan Milosevic's plan to unite the Serbs in one country through any means necessary. 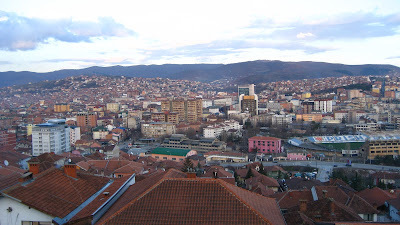 Kosovars, meanwhile, have a long history of opposing the church; the Kosova Liberation Army kidnapped some priests and killing at least one during the 1999 war. 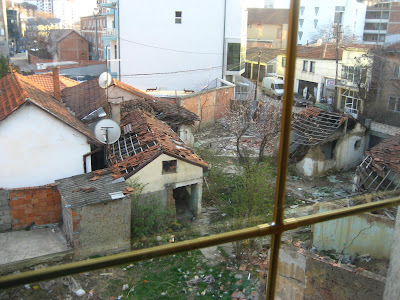 Serb churches were destroyed en masse in 1999, and again in rioting in 2004. There's blood on everybody's hands. I don't know what to think. I'm constantly perplexed by the ability of Christians to hate one another and to hate others. That Christians would be closely connected to a nationalist project to violently overtake their neighbors' territory is not the least bit surprising. It's not terribly different from the Crusades. Or from overwhelmingly Catholic Rwanda, where thousands of good Christian people had no trouble perpetrating a genocide. And while nowhere near on that scale, the continual demonizing of some branches of American Christianity by others is a sign that those of us who are part of a religion that is supposed to be defined by love are instead controlled by our fear more than ever. 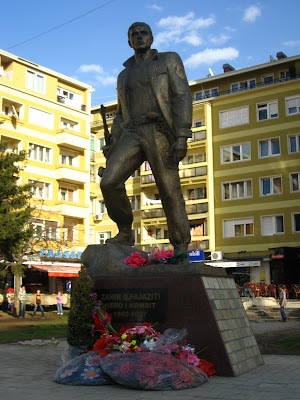 The Serbs treated the Kosovar Albanians very poorly. 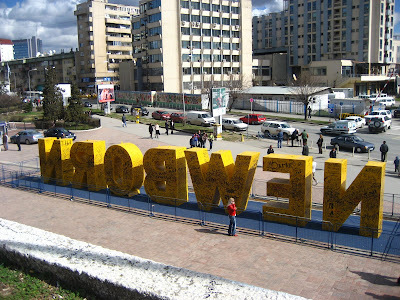 The war and the leadup to the war were terrible for the Kosovars. We heard stories of living in exile, of entire families killed, of homes destroyed. While the diplomats have to be careful not to favor one side over the other, I don't. 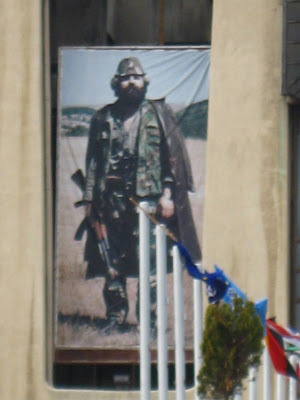 The Serbs were horrible in Kosova. It's taken me two weeks to write about these churches. All I can come up with for a redeeming lesson here is that the melding of church and state into an idolatrous nationalism is always dangerous. When you conflate God's mission with that of the state, the church loses its witness and its power to love. When you make politics more important than piety, you may just find yourself cut off from the community you're supposed to be serving. Once it's there, barbed wire is hard to cross. Seems someone already scooped our idea for a site about Stuff Baptists Like. In a manner of speaking. My favorite so far, concerning #94, "Highly Specialized Bibles": "If I ever get the chance to publish a 'Stuff Christians Like' Bible, I'm going to have it wrapped in lush velvet, illustrate the Song of Solomon and call it simply, 'Purple Rain.'" I do NOT like having to be at work at 8am on both Saturday and Sunday. Running a conference registration table is one of the most boring jobs in the world. You can deal with a huge number of the 2,571 emails in your inbox when working the registration table at a conference. It's really easy to park on the Drag at 7:30 on Saturday morning. The Advisor does not hold the vino very well. When under the effects of the above-described low tolerance, The Advisor dances. I have enough shame that I will not take pictures of the event described in #6. I do not have enough shame that I will not get someone else to take pictures of the event described in #6. Bitter kola nut is disgusting. It dries out your mouth with the first tiny bite. Three-year-olds are mostly interested in the first present they open. Ann built a groovy patio. If I keep making factual, non-disputable statements about Tutsis in conference papers, Tutsis are going to yell at me at panels. This is obviously a freak year for the NCAA and nobody's bracket should count for anything. IKEA does not sell wall-mounted pot racks. I need more sleep than this. Nothing's better than a springtime hat parade. As for the last of the Texas delegate counts, well, it's a little messy. BOR has actual counts. As of 9:13pm, Obama is claiming victory. Kindof makes a little confusion at the Expo Center seem irrelevant, huh? 7 - Fancy banquet for the conference at which I've been working all weekend. Now. I am a Southern girl, and I know how to wear the appropriate outfit to a particular occasion. For a three-year-old's birthday party, you wear something cute and springtimey in a fabric that can easily be washed in case the birthday cake starts flying. For a fancy banquet full of Africanists, you wear a cocktail dress and heels. (Or, in this one case, you can wear an Africa dress, but do you really want to try that around so many stylish African women? The answer to that is an emphatic no.) For a hipster coffee house and afterparty on somebody's spakin' new backyard patio, you obviously wear your new Kosovo Liberation Army t-shirt and jeans. So what am I supposed to wear tonight?!? While we were traveling and not paying a bit of attention to Baptist news, it seems the Sheri Klouda case was dismissed. Seems there won't be a (ahem!) pole tax in Texas after all. This is currently the headline at the Statesman.com. I'm not sure what that says about our fair city. In other news, you're just going to have to read this headline for yourself. "I’d compare them to an effort by Umberto Eco and Edward Gorey to condense all Victorian (and then some) fiction into a postmodern mystery series for Middle-Schoolers, if you can picture such a thing." If you still haven't read Lemony Snicket's oeuvre, you are missing out. The flight out was pretty cool as well. I got to see the Aegean and the Dardanelles. Pretty cool. So Hillary can't sell out an Elton John concert fundraiser? This directly contradicts everything I thought I knew about one of her core groups of supporters. I don't want to be sold financial services by a spitting up baby. Especially in the middle of a good basketball game. There are 155 looooonnnnnnngggg days until football starts. The spring game is on Saturday. Here's a little primer for the upcoming season for the Texas Longhorns. Looks like it may be another long year. I forgot to mention the one thing I did NOT like about Montenegro: the bus station toilets. Here's the thing. If I have to PAY to use a bathroom, it should be a real bathroom, not a squatty potty. If there's anything worse than a pay squatty potty, I don't know what it is. 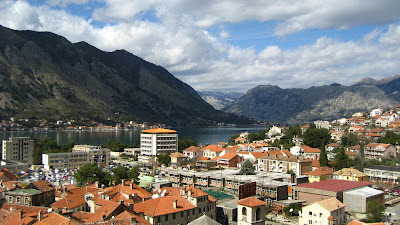 We'll now stop complaining, because Montenegro really is lovely. And the woman who directed me to said squatty potty turned out to be a reporter for the national television station who speaks fluent English and who helped me to figure out why the Montenegran SIM card (t-mobile, seriously!) for my cell phone wasn't working and then told me to call the next time I'm in-country so she and her friends could show me the country's wonders. "always giving, never asking why"
Here's an interesting read for those of you who are trying to figure out how to get the young, hip types who don't go to church into your churches. Here's a hint: what you see as "seeker-friendly" can be a bit off-putting to those outside of the fold. 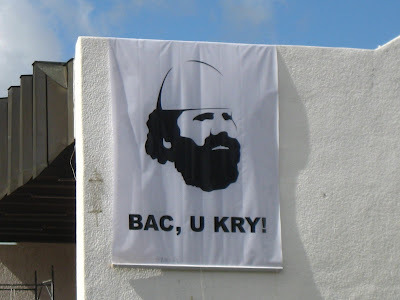 Well, seems everybody's headed to Kosovo these days. We are so ahead of the curve. I'd just like to thank the Texas 22nd for giving me a perfect example of a tax code violation to use in my civil liberties lectures. Tom DeLay may be out of the picture, but it seems there's still plenty of crazy to go around. Or at least people who don't understand the 1st Amendment. Ha! Check out the John McCain Foreign Policy 8-Ball. Montenegro is seriously beautiful. It's one of the most spectacular places I've ever been, up there with Switzerland and South Africa in terms of dramatic landscapes. 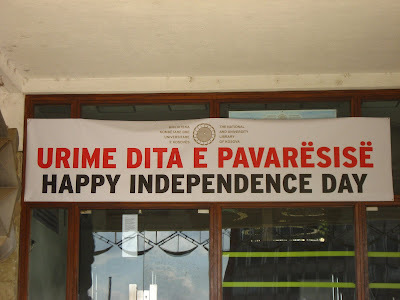 Despite the fact that Montenegro is now an independent country (the world's second-newest state), the Serbs never really hated Montenegro, so it didn't suffer as much war damage as did some of its other neighbors. 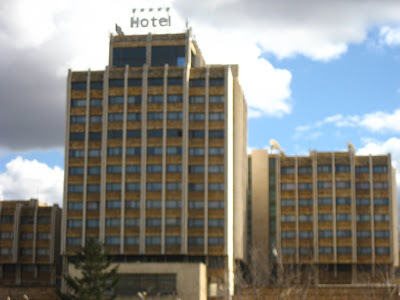 Add to that the facts that the people are totally friendly, it's relatively easy to get around, and things are still pretty inexpensive and you've got a great vacation destination. Seriously. You should all go. 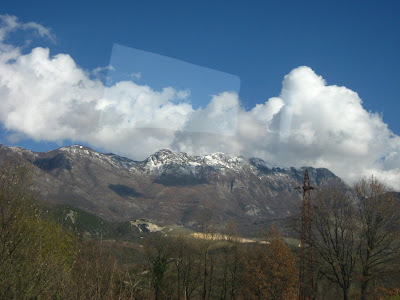 Montenegro means "black mountain," as does Crna Gora, its name in the local version of Serbo-Croat. While there is, apparently, a specific black mountain, almost the whole country is mountainous. Coming from Kosovo, there are mountains for four hours, then you come out onto a wide plain where the capital, Podgorica, sits, then it's back into the mountains as you head in any direction. 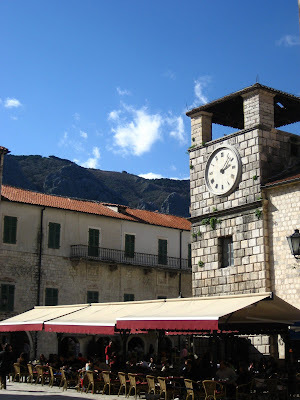 Kotor also has lots of cute little piazzas with cafes where you can sit and enjoy a coffee and the sunshine for hours on end. 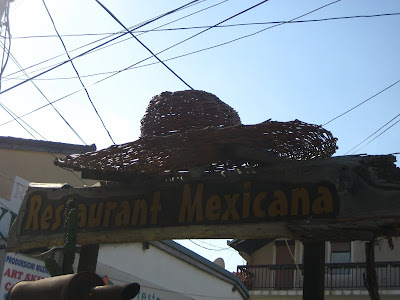 The best part is that, despite the fact that I was there in the low season, the cafes were still full of locals. 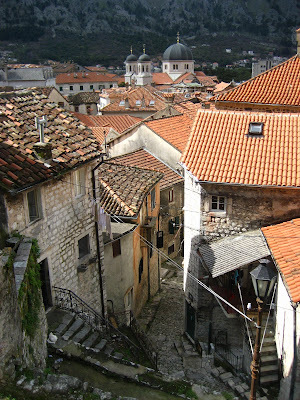 People actually live and work in Kotor. Here's a view of the fjord looking out towards the bay. 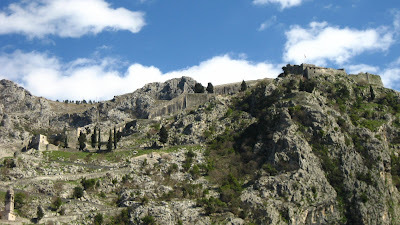 It's kindof hard to see, but if you click on the pictures to enlarge them, you'll see the hillside fortifications. The fjord is absolutely beautiful. I'd never seen a fjord before. The pristine blue waters were almost irresistable, except for the whole "it's cold outside" thing. 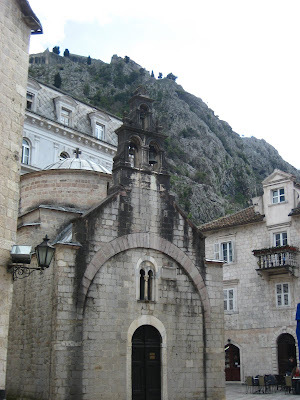 Sadly, I only had a day to spend in Kotor before heading back to Podgorica, where I spent the night in a freezing cold hotel room with inadequate heating in order to catch a 7:30am bus back to Kosova. Within ten minutes of leaving the station, our driver ran a red light, got pulled over by the police, and we sat on the side of the road for an hour. After an hour, they let him move the bus to this market/restaurant, where we sat for another 2 1/2 hours while the driver waited for the police, was picked up by the police, went to the police station, and came back from the police station with matters settled. It was, perhaps, not the best way to end my Montenegran experience, but I will definitely go back to try out the country's whitewater rafting and other outdoor activities, as well as to hang out at the beach. "We like to generalize; God likes to particularize." That was the recurring thread in Joel Gregory's magnificent sermon at the Celebration of a New Baptist Covenant in Atlanta in January. We generalize. We put people into categories like "African" or "poor," label situations as "tragic" or "unsolvable" or "tribal wars," and dismiss our own culpability in the world's systems of oppression as a product of living in our time and place. But God doesn't work that way. God doesn't see "AIDS orphans" or "refugees" or "victims of war." God doesn't label people as "businessmen" or "lawyers" or "teachers" or "doctors." Nor does God define others as "terrorists" or "extremists" or "jihadis." God sees people. People with names and faces and families and stories. God sees you and God sees me. God sees Olivier. Because in the kingdom of God, where everyone is created in the image of God, simple categories just don't work very well. Labels let us push a person away, give us an excuse to remain disengaged. Particularties, however, have a way of drawing us in and forcing us to act. Generalizations are a lot easier. Thank-you, Lord Jesus. Thanks to deregulation in the form of an open-skies agreement, travel to Europe is about to get a whole lot easier. What does this mean for us? Well, for one thing, it's highly unlikely that any of us will ever have to schlep between Heathrow and Gatwick for connecting flights to Africa again. For those of you who haven't had the joy of experiencing that particular nightmare, because only 2 American airlines have been allowed to land at Heathrow, if you were flying from, say, Dallas-Fort Worth, and needed to get to, say, Nairobi, the only way to do it was to either 1) transfer flights stateside to get on a Heathrow-bound flight, or 2) transfer between the two airports in London. Which is a total nightmare - you have to claim your luggage, clear customs, hop on a bus, and check back in, all the while praying that your four hour layover will be long enough to manage it all. Those days, my dears, are over. Add to this the opening of Heathrow's Terminal 5 this week and I'd say that my travel to and from Africa will definitely be easier, and may even be cheaper. Can I get an "amen" from the congregation? Gasp! My favorite politician who changed his name for political reasons may soon have a tiny legal hurdle with having his name listed on the ballot simpley as "Pro-Life." Pro-Life is, it seems, running to replace Senator Larry Craig, who's announced that he (ahem) will not be running for re-election. When I was in 10th grade, the woman who'd taught the Honors Biology course for years and years quit or moved away, so the district was forced to hire a new teacher. Their replacement was an older woman named Dr. Martin, who had been a longtime research scientist at the Oak Ridge National Laboratory, but whose children had asked her to leave the lab for fears about her health. At first, Dr. Martin seemed a little crazy, but as time went by, we realized she was actually crazy. She also had a wacky accent, which meant that she'd talk about things like "bunding" - as in, "ionic and covalent bunding." And the Krebs Cycle became the (I am not making this up) "crabs cycle." She was also generally clueless and had very little control over a classroom full of smart, sarcastic fifteen-year-olds who could sense her unease. Our parents told all of us to stop complaining. They just didn't believe that it could be that bad. That is, they didn't believe us until after that fall's open house, at which Dr. Martin promised us she would "bund" with our parents. Bund she did, because they came away understanding that their children were perhaps not getting the highest quality of biological education available in the school district. Tenth grade boys being what tenth grade boys are, of course many of them went for the STD's. Which was unfortunate, given that part of the assignment was to make a poster that could be displayed on the classroom walls. (And given that our teacher was generally clueless.) I won't go into the details on most of those, but one of the craziest came from my classmate Ford, whose favorite disease was hermaphroditism. For his visual aid, Ford drew a really remarkable picture of a pregnant man. 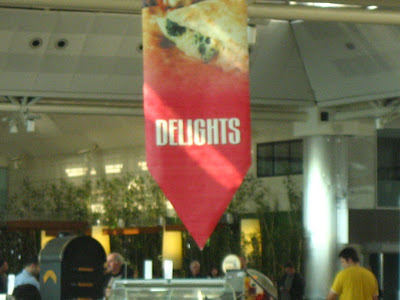 It was completely wrong and absolutely hi-larious, and it stayed on the wall for a couple of months. When I'm with friends from high school, this still comes up in conversations. It was that funny. I bring this up not to bore you with stories of my younger days, but because I've just read a news story that suggests that Ford was just ahead of his time. Yep. The conservative blogs are already having fits about this one. As for Dr. Martin, well, the school took away the honors classes from her at Christmas break, and didn't renew her contract for the following year. Our classes were taken over by the department chair, Mrs. C., who very quickly informed us that our project for the spring semester would be a report entitled "My Favorite Disease." "We already did that," we replied in unison. Mrs. C. had been around the block a time or two, and when we said that, without missing a beat she replied, "Fine. Then it will be 'My Second Favorite Disease.'" She wasn't joking. I got diabetes in round 2 and for my presentation checked my best friend's blood sugar and gave a shot to an orange. And I don't remember there being any more reports on STD's. Or pictures of pregnant men. I just talked to E. She and C are in the states for a couple of weeks' vacation before heading back to Goma over the weekend. We had a fun conversation, talking about how things are in Goma, their work, and what the next steps are to bringing healing to that broken city. There are sad things, too. My friend Eva's uncle got shot last Thursday at his home. I'm not going to guess why. One of the things that E told me is that Olivier is not doing well. They don't know if it's the medicine or what, but, she said, "he is losing his mind." They will go to the doctor next week to see what can be done. He needs prayers. My heart broke into a thousand pieces all over again when I heard that. (For new readers, you can read Olivier's story here. Please read it.) It's not unexpected; I guess drugs can only do so much to help a child who's living with Stage III HIV. Things should be better for Olivier. He's living with a family. C and E made sure his school fees are paid. E fought tooth and nail to get him on one of the 65 doses of ARV's available for children in Goma. But he runs away from school. And his body is breaking down. E asked me to write him a letter over email that she could read to him. So I will do that. And send some of the pictures he took with my camera in August. And I'm going to find a way to take up a long overdue sponsorship for him so that the family he's living with can afford to buy the special foods he needs to eat to make the anti-retrovirals work. But Olivier needs your prayers. And his city needs peace. There are thousands of children like him there who have nobody and nothing. If you'd like to help a kid like Olivier, $100 a year provides for school in a local, church-based sponsorship program. Thanks to the generosity of volunteers who donate their administrative skills, 100% of your donation goes directly to the child you sponsor. Can we talk about how much I love the free wi-fi on my bus? I love the free wi-fi on my bus. Committee Member #3, just now: "And if you ever need to come and close the door and scream for a bit, the offer stands." 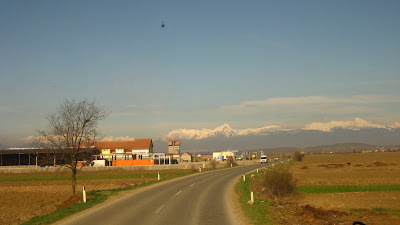 The border crossing between Kosovo and Montenegro has to be among the most dramatic in the world. To get there, you or your bus must negotiate a rather terrifying series of hairpin turns up the mountain. Once you've crossed one side of the border or the other, there's a 10 kilometer no-man's land in between, because there's nowhere to put a border post up there. 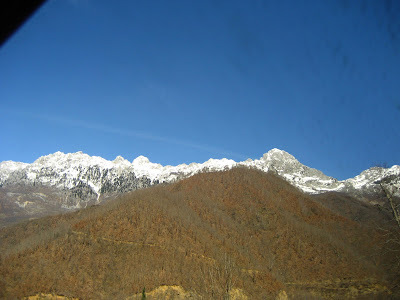 These pictures are of that area, taken from just over the Montenegro side of the border. The wilderness around the border is absolutely pristine, primarily because there are so many land mines there that no one dares to hike off the road. Even the animal tracks through the snow are concentrated by the sides of the road. 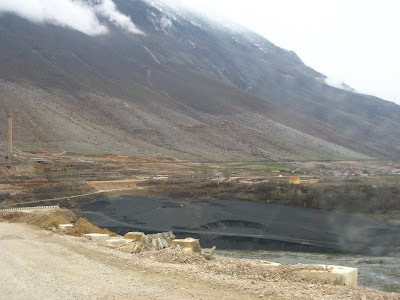 Because many of the mines were laid by informal militias, no one has a good record of where all the mines are. Since Swang involves four of my favorite things (dancing, a random collection of people, camping, & Two Tons of Steel), well, I'm sad to have missed it. Not that I could've gone even if I'd been in town. We would not be fresh as a daisy for Easter Sunday if we had been out dancing in the Hill Country until all hours. I just learned that infant mortality in the DR Congo is now at 41% per year. If this were happening in our country, we'd be up in arms. So why aren't we agitated over the deaths of 41% of babies in a country on the other side of the world? Someone at the State Department just reached my blog by searching for "Rick Warren" and "Nkunda." You wouldn't think I'd had a single conversation involving both of those topics last week. But you'd be wrong. Heh-heh. So I need a hostess gift for Melissa the Missionary, with whom I will be staying in freezing cold Chicago next week. As longtime readers know, Melissa the Missionary and I have been engaged in the Battle of the Tacky Christian Products for almost ten years now. And I need something good to get her back for the "Jingle with Joy for Jesus" bell that showed up in my mailbox awhile back. So, gentle readers, I'm leaving it up to you. What would better thank Melissa for her generous hospitality, a 10 Plagues of Egypt toy , a Pope Cake (which is perfect since she's getting her PhD from the Catholics, but may be hard as it apparently has to be ordered from Italy), or a Praise Workout Circuit Training video? It's too bad they don't sell Miracle Wrap by the roll. Vote early and vote often, 'cause I've got to hurry up with this. 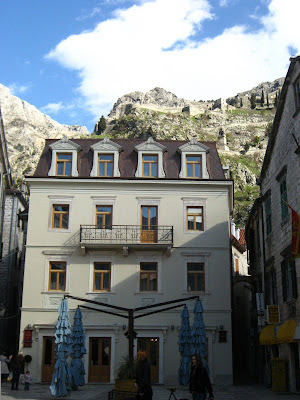 Traveling as a woman alone in the Balkans was an interesting experience. If there's one thing I've learned from travel adventures over the years, it's that if you're on your own, you have to trust people. You'll never find everything on your own, and you'll miss out on seeing amazing things if you don't take people up on offers to help out. That said, I'm pretty independent when it comes to travel, and I don't like to be told what to do. 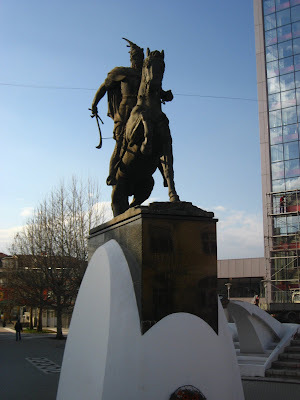 The Balkans are interesting in that regard, because it's definitely still a male-dominated culture. Very few women travel alone, and those that do are "looked after" by the men in their bus/taxi/city. In Kosova and northern Albania, part of this may have to do with the fact that it's a predominantely Muslim culture, albeit a very liberal Muslim culture (they drink, and you don't have to cover your head anywhere but a mosque). 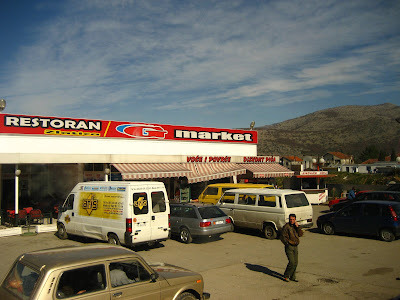 I got several tastes of this, um, cultural value on my trip, but none was funnier than the incident that happened on the morning I left Prizren for Montenegro. The trip to the coast is long - it took about 12 hours going and 9 coming back - and it winds through the mountains on hairpin turns for hours on end. 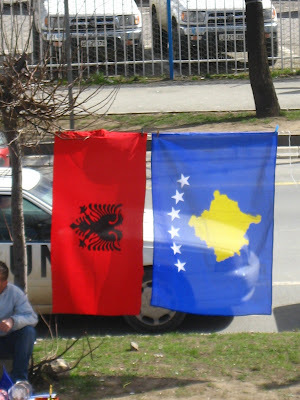 I took my seat about midway back on the early morning bus, but when the general manager came to collect my ticket and discovered I don't speak Albanian, he asked where I was from. He was (naturally) very pleased to learn that I'm American, and as he passed by on his way back up front, he snapped his fingers at me and said, "You! Sit in seat #1." It wasn't a choice. I was promptly moved to the front row where the drivers could keep an eye on me and make sure I got off at the right place. Now. I really appreciate kindness and concern. Really. But I have a rule about bus travel in foreign countries, and that rule says that only under the most desparate of circumstances will I sit in the front of the bus. Because I DON'T WANT TO SEE what is ahead. Nine times out of ten, it's too scary, or the bus driver is smoking with one hand and talking on his phone with the other, or children are running across the road while the bus slows down not a bit. 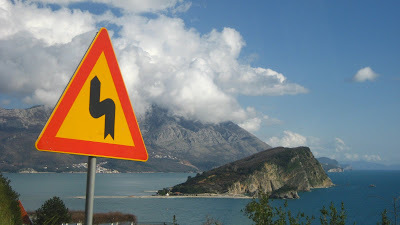 But I didn't have a choice on the road to Montenegro. 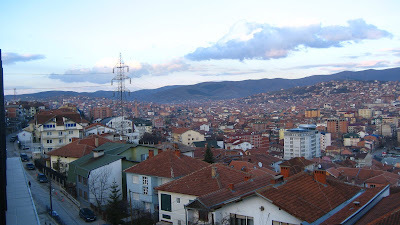 And you can see that the view from my seat was fine as long as we were in Kosova proper. 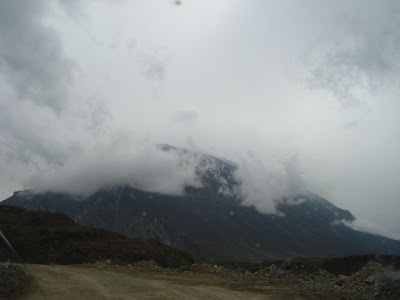 It got a lot scarier when we started to climb those mountains. Oy. Well, that was a crazy week. 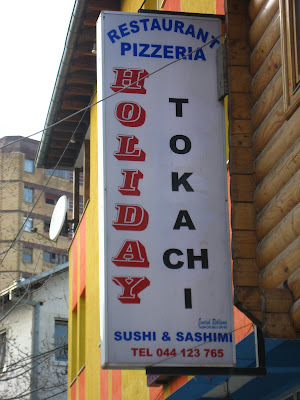 Last weekend, I was dining on sushi and Tex-Mex in Pristina with a bunch of diplomats. Sunday morning, I woke up in a tiny little pod in London then watched the NCAA selection show in the Raleigh-Durham airport. Monday, I woke up in Austin, showed a film about Texas politics (It's great and they love it. No, really.) to both of my classes. After that, it was more work, ten loads of laundry to wash the eau de Balkans out of my clothes (apparently, chain smoking is the national sport), and then off to freezing cold but still sunny (mostly) Franklin for daddy's retirement party, an impromptou 5am trip to the ER (everything's fine), and, of course, Easter Weekend. The sister and I went to coffee with Matt Darling on Saturday afternoon and Ben Folds sat down at the table next to us. I have ten days at home now and am glad for it. 'Cause who knows what will happen next? Contending for the upper hand. This is the death of earth. The town, the pasture and the weed. The sacrifice that we denied. Before the urban dawn wind unresisting. To compel the recognition they preceded. We trod the pavement in a dead patrol. These things have served their purpose: let them be. And the fullfed beast shall kick the empty pail. When I left my body on a distant shore. To set a crown upon your lifetime's effort. Then fools' approval stings, and honour stains. 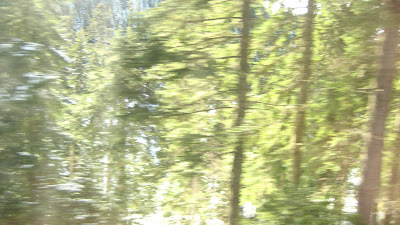 And faded on the blowing of the horn. To become renewed, transfigured, in another pattern. These dead men more than the dying? To summon the spectre of a Rose. And are folded in a single party. A symbol perfected in death. "Little Gidding," the last of Eliot's Four Quartets, is my favorite poem. It's about redemption, about fire, language, memory, power. It is, ultimately, about Easter - "A condition of complete simplicity / (Costing not less than everything)." do you hear the peeps sing? The Peeps Show is back! The Major Peep Award is pretty funny, but The Trojan Peep may be my favorite. T.S. Eliot, "The Dry Salvages"
Massachusetts. Salvages is pronounced to rhyme with assuages. Into the wind's tail, where the fog cowers? The bitter apple, and the bite in the apple. Or 'the future is before us'. "...in spite of that, we call this Friday good." Which burns before the ice-cap reigns. It was not (to start again) what one had expected. Bequeathing us merely a receipt for deceit? Of that which, deceiving, could no longer harm. And cold the sense and lost the motive of action. Nobody's funeral, for there is no one to bury. The deception of the thrush? Into our first world. There they were as our guests, accepted and accepting. Cleansing affection from the temporal. As in the figure of the ten stairs. T.S. Eliot's Four Quartets tell the story of the last four days of Holy Week in poetry. "Burnt Norton" corresponds to Maundy Thursday. It uses the metaphor of the air and a burned-out building to meditate on what could have been and about being caught in time and place that isn't what we want it to be. Well, my bracket is entered into all six pools with various friends and colleagues. I'm a firm believer in doing ONE bracket, and you can argue with me, but I'll remind you that I am awesome at this, and I win the pool with my guy colleagues who enter six or seven brackets apiece. Only having one forces you to commit. Anyway, my Final Four are UNC, Wisconsin, UCLA, and Texas, with UNC and UCLA fighting it out in the final and UNC winning. I have West Virginia taking out Duke in the second round. And, sorry, all, but I picked against Baylor. You have to keep emotions out of these decisions. 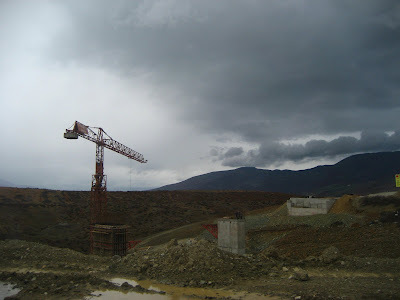 The tiny corner of northeastern Albania I saw looks pretty much exactly like what I think of when I think of Albania: drab, grey, wet, and generally miserable. Did I mention the dirt roads that are all there is until the superhighway is finished? 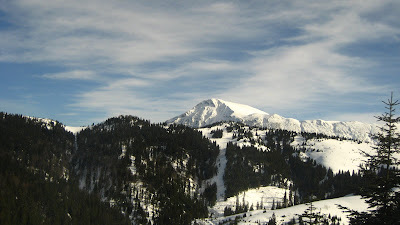 And there are some pretty cool mountains, which apparently we don't climb due to the little landmine problem. There are also these little concrete foxholes/bunkers everywhere. 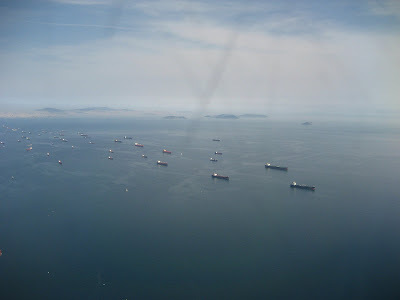 I didn't get a picture because I'm not big on Taking Pictures of Military Installations in foreign countries, so you'll just have to take my word for it that it was 100% bizarre. 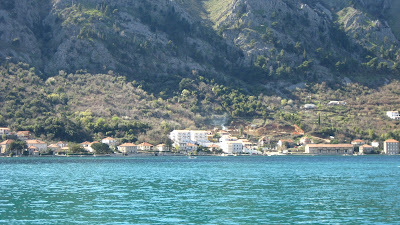 "Why White People Like 'Stuff White People Like'"
So the coast of Montenegro is pretty spectacular. 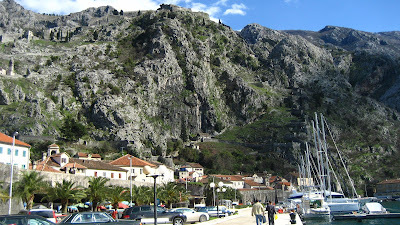 Almost the whole country is mountainous, then there's this dramatic drop to the Adriatic Sea. 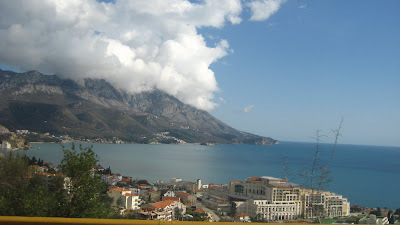 Here's a picture I got quite by accident of a place called Budva. Ha!!!! This is a SCREAM. 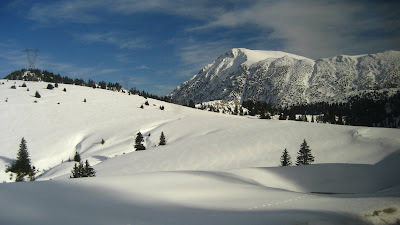 I took this picture in Montenegro, somewhere past Rosaje towards the Kosova border in the pine forests at high elevation. It's not at all what I intended to get, but I think it turned out kindof cool. "Senator McCain...voted in favor for the Secure Fence Act of 2006. 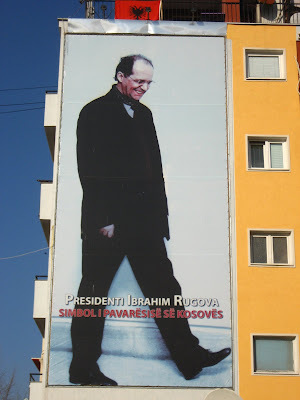 To capitulate, these bills were central to current President George Bush's immigration reform..."
"Because of the proximity of his senatorial experience..."
Of course, other signs of Kosova's new independence are everywhere as well. The "Newborn" sign above is the monument from independence day; everyone signed it that night. 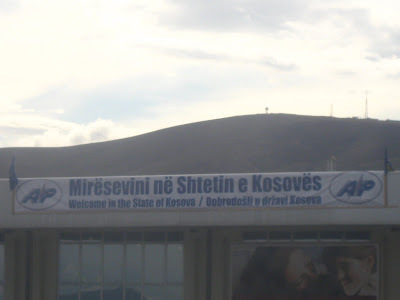 Here's the first thing you see at the airport: And signs like this are all over the city: Here's the new Kosova flag (which everyone hates), along with the ubiquitous Albanian flag: The six stars stand for the six ethnic groups that live in Kosova. 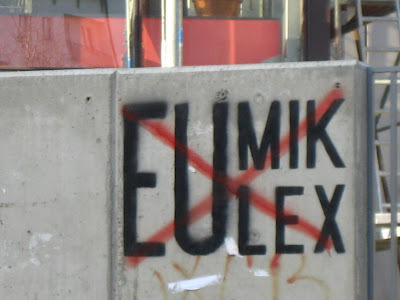 One of those stars, of course, is for the Serbs, who, as you can imagine, are pretty unpopular with Albanian Kosovars. 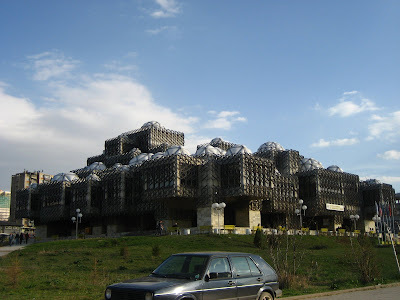 Overall, I found Pristina to be a welcoming and fun city. 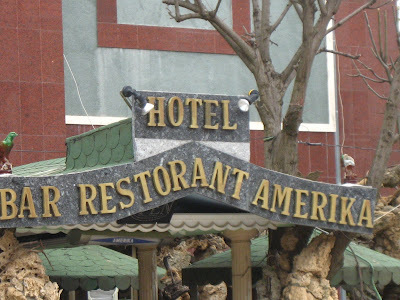 The hospitality towards Americans can't be beat - one gets the sense that if anything were to happen (like an attempt at mugging), everyone in a 100-yard radius would come to one's defense. I highly recommend a visit.